Today, with some 2150 churches and a total membership of almost 140,000, the Baptist churches who form the Baptist Union of Great Britain represent a significant force for radical Christian discipleship. The Bible Society exists to make the Bible heard. We aim to show how the Bible connects with life. We make Scriptures available where there are none and we work with the Church to help it live out the Bible’s message. We do this because Bible poverty is real. And fighting it matters. At Bridge House we seek to live out our understanding of the Christian Life: Trust in God under the Lordship of Jesus Christ and in the power of the Holy Spirit. Care for the Family aims to promote strong family life and to help those hurting because of family breakdown. The Christian Enquiry Agency provides information for people who want to find out about the Christian faith and its founder Jesus Christ. The information is reliable, objective and given confidentially. It does not just give a version of Christianity adhered to by one particular group of Christians (‘denomination’ or ‘tradition’). Instead it attempts to explain and explore what Christians of all kinds believe. Christianity Explored is an independent UK Charity. They produce courses and other materials to help people understand from the Bible who Jesus is, why he came, and what it means to follow him. Their materials have been translated into 20 languages and are being used in 60 countries in all kinds of churches. Christians Against Poverty is a national debt counselling charity with a network of 82 centres based in local churches. CAP offers hope and a solution to anyone in debt through its unique, in-depth service. The aims of Churches Together in Didcot and District shall be: (i) to facilitate common witness to Christ by the member churches; (ii) to work and pray for Christian unity; (iii) to provide means of consultation between the churches. At Scouts, you get the chance to try out lots of different activities and meet new people. Making friends is what Scouts is all about. The Freecycle Network provides individuals an electronic forum to "recycle" unwanted items. One person's junk can truly be another's treasure! When you want to find a new home for something, whatever it might be, you simply send an e-mail offering it for free to members of the local Freecycle group. Or, maybe you're looking to acquire something yourself. Simply respond to a member's offer, and you just might get it. After that, it's up to the giver to decide who receives the gift and to set up a pickup time for passing on the treasure. Our purpose is to teach, train and resource the church to make disciples so that it can advance Christ's kingdom more effectively. Our driving motivation is the conviction that the UK church could be revolutionised if enough individual Christians understood better how to walk in the freedom that Christ has won for them. 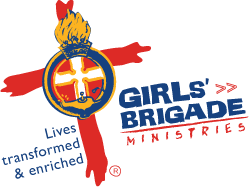 The Girls' Brigade (GB) is a Christian, international charity working alongside girls and young women of every background, ability and culture. Since our foundation in 1893, GB has become known worldwide as a fun, interesting, challenging and relevant provider of activities, skills, care and Christian love for hundreds of thousands of young people. Kiva's mission is to connect people through lending for the sake of alleviating poverty. Kiva is the world's first person-to-person micro-lending website, empowering individuals to lend to unique entrepreneurs around the globe. "LookingforGod" is an interactive journey that can help you to know God better. This journey has 5 steps followed by a prayer. Enjoy your visit to this site!